Live from Germantown Hills, it’s Saturday Night Cheeseburger starring this week’s host, Kouri’s Pub and featuring the ready for Prime Beef Player, Marty Wombacher. 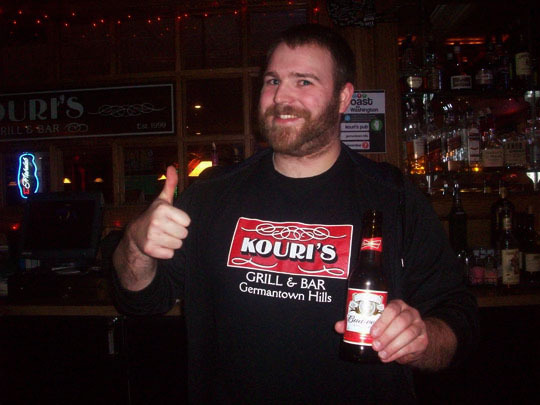 Now, please welcome this week’s host, all the way from from Germantown Hills, Kouri’s Pub! Okay, just two weeks to go and we start going back to places I went to a year ago because I'm running out of late night spots to go and get a cheeseburger at. 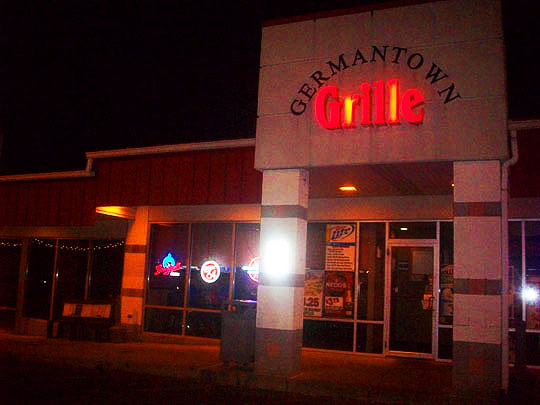 I happened to see a place in Germantown Hills on facecrack called the Germantown Grille and I called them and a woman said the kitchen is open till around midnight, so that's tonight's destination. And here we are, it's bigger than what I thought it was going to be. Well, I had a bad experience after I walked into the front door. The guy behind the bar kind of freaked out when i asked if I could take pictures in there. He said there was no way I could take pictures of any people in the bar, so I told him I'd just drink my beer and be on my way. So I'm stuck here in the middle of bumblefuck and have no idea where to go now. Perfect! Time to improvise. Okay, an anonymous source from a nearby restaurant that was closing told me that there's a Kouri's bar down the street and that they may have a late night menu. 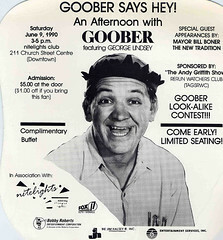 Let's go see if we can find it and salvage this edition of Saturday Night Cheeseburger. Here we are at Kour's, it's a hard building to get a good photo of the outside. I kind of feel cursed tonight. Let's go inside and see if our luck gets any better at this spot. Well it looks nice and festive in here, there's the bar over there, let's go check it out. 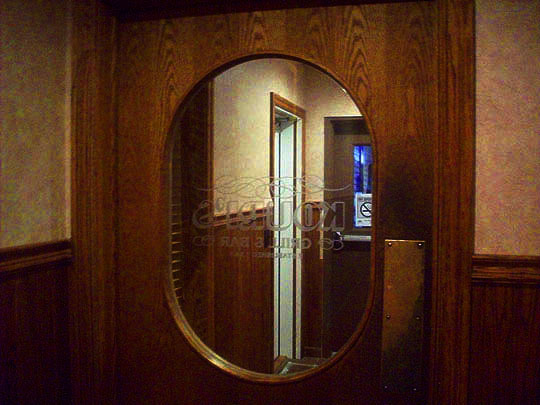 I see a couple of seats open at the end of the bar, let's go see if we can take pictures and do the Saturday Night Cheeseburger in here. Bartender J.D. told me to snap away and so we begin this edition of Saturday Night Cheeseburger! Let's cue up that applause clip again in honor of a bar that's happy to get some free publicity! There's a nice selection of beers on tap behind the bar. Tables are situated behind the bar for your dining and drinking pleasure. Booths line the outer walls and there's sports memorabilia on the walls. A timely reminder that the night belongs to Michelob. J.D. 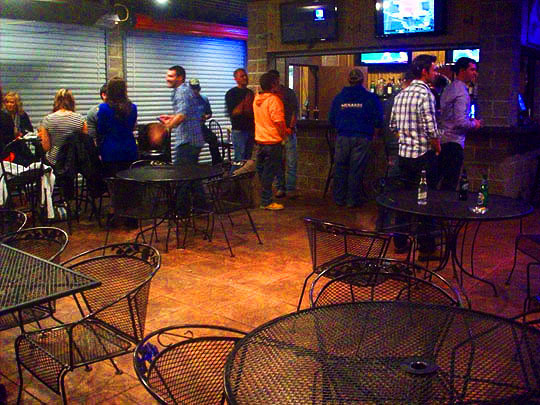 told me that there was an indoor beer garden in the back, so I thought we'd check it out. Wow, it's a big space back here and take note all you smokers out there, you can light up back here! The smoker you drink, the player you get! 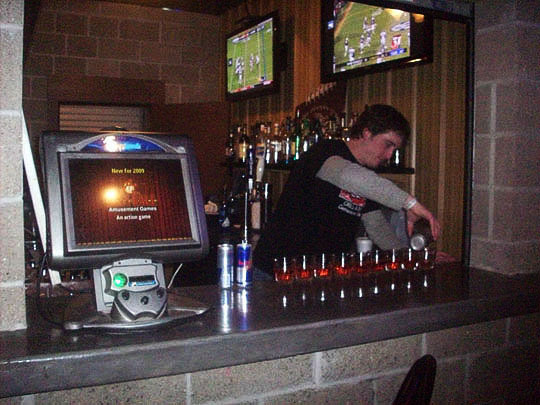 Here's the bartender on duty back here, Cremer, who's busy pouring drinks for this thirsty crowd. 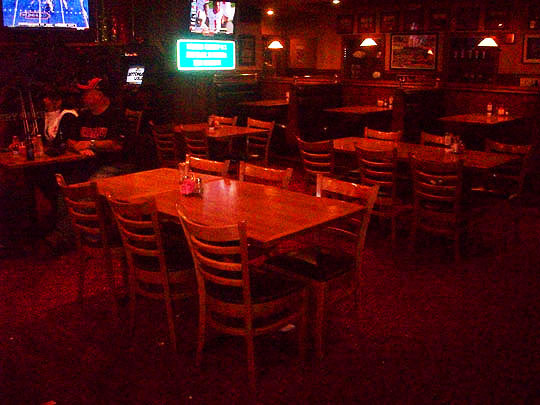 Meanwhile, back at the bar, the table is set and it looks like it's just about cheeseburger time! And here it is, served up by J.D! It looks great and the onion rings on top are a nice touch. The burger has been dressed up with mustard and pepper and it's ready for consumption. After I finished the cheeseburger I took a long shot of the bar and decided that we should meet the two women seated at the end of the bar. Yet another pretty face appears on the scene! Here's bartender Kari, who said she'd only let me take her picture if she could wear my glasses, so here's Kari adorned with my glasses. Then she poured shots for all of us. A free shot with three pretty ladies, this edition of Saturday Night Cheeseburger started out spotty, but it comes to a very happy ending here! We'll see you all tomorrow! Kouri’s serves up a standard pub-styled cheeseburger that has no frills, but delivers great taste on a bakery fresh toasted bun. And who could ask for anything more than that? Other sandwiches on the menu include an Italian Sausage sandwich, Butterflied Pork Chop, Grilled Ham and Cheese and a chargrilled Ribeye Steak Sandwich. 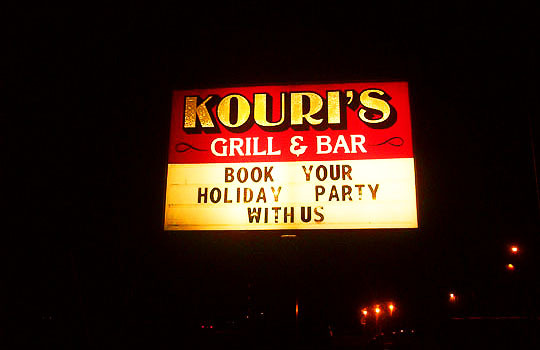 Full dinners are also available at Kouri’s with entrees including: Chicken Alfredo, BBQ Ribs, Grilled Salmon and Fried Chicken, which is one of their specialties. 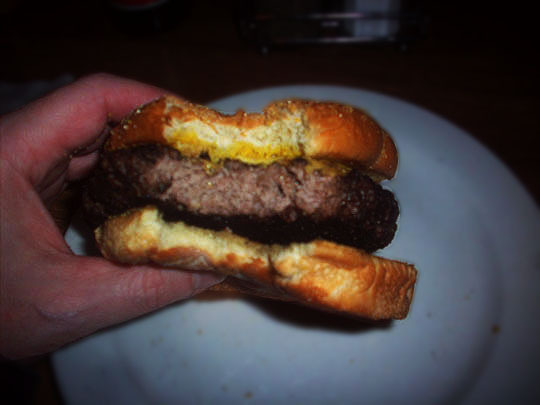 Related Posts: Saturday Night Cheeseburger @ Salt, Castaways and Black Rabbit. Jaws the Cabbie sent in this art that was inspired by getting shut out of the Germantown Grille. Ha, thanks, Jaws!